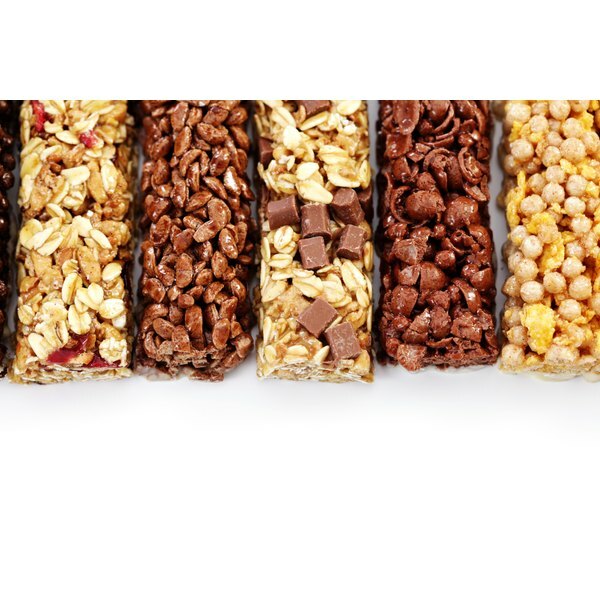 Make homemade granola bars with a blend of cooked whole oats and rolled oats. As a whole grain, oats are nutritious, and add bulk and richness to many foods. Add them to cookies or meatloaf, or eat them on their own. Types of oats are named for the way they are prepared before being dried and sold. Both whole and rolled oats can be used in cooking, although rolled oats have a softer texture. Whole oats are the uncut, unsteamed, unrolled oat groat. In many cases, whole oats are cut with steel cutters -- into two or three pieces -- to make steel-cut oats. As they are made from unprocessed, whole grains, whole oats have a round, slightly bulbous texture. Rolled oats, meanwhile, are steel cut oats that have been steamed and rolled flat. They are medium-small in size and cook more quickly than whole oats. While whole oats, have a nuttier taste and a chewier texture, cooked rolled oats are very soft and mush easily. Because whole oat groats are large, they take longer to cook through. Whole oats retain their shape well and produce a flavorful porridge when cooked. Prepare a 2-to-1 ratio of liquid to oats in a pan, then bring the mixture to a rolling boil for five minutes before lowering the heat. Gently simmer the oats until they are softened and have expanded, about 45 minutes to fully cook. Enhance plain porridge with sugar, honey, maple syrup or fresh fruit. Because rolled oats are presteamed and flattened, they cook much more quickly than whole oats. The finer and smaller the rolled oat, the less well it retains its shape when cooked. Rolled oats are the most common type of oat used for making porridge, and they are the same thing as old-fashioned oats. Rolled oats that have been pressed very thin are called quick-cooking oats and can cook in mere minutes. Bring water to a rolling boil before adding the rolled oats, stirring to incorporate fully. Use a 2-to-1 ratio of liquid to rolled oats, and cook regular rolled oats for 10 to 20 minutes. The longer the oats are cooked for, the more uniform and soft the texture. Like with whole oats, season with sweetener or fresh fruit to taste. 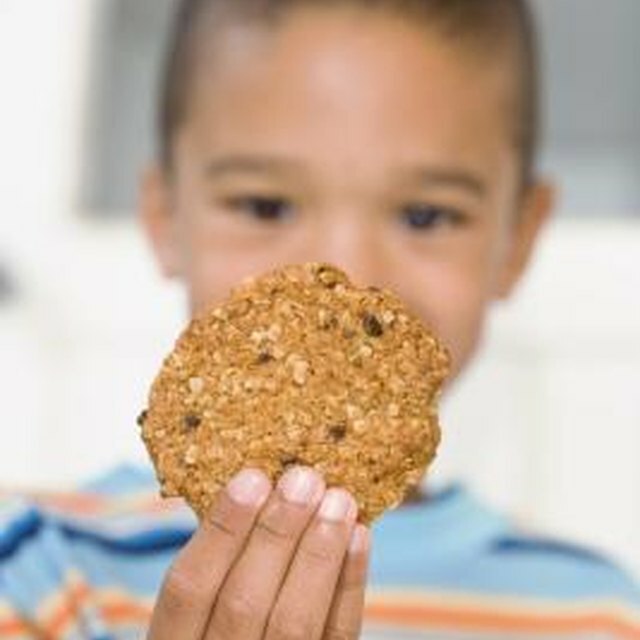 Add oats to baked goods, such as breads, muffins or cookies, to provide bulk and a nutty flavor and chewy texture. Whole oats, because they are chewier than rolled oats, are ideal for adding bulk to vegetarian burgers or in heftier baked goods, such as breads or biscuits. Substitute rolled oats, which cook quickly and have a more delicate texture and taste, for flour or bread crumbs in recipes for meatballs or meatloaf. Or include uncooked oats in homemade granola bars.